With over 2 billion users worldwide, Facebook currently offers the biggest marketing opportunity for startup businesses. 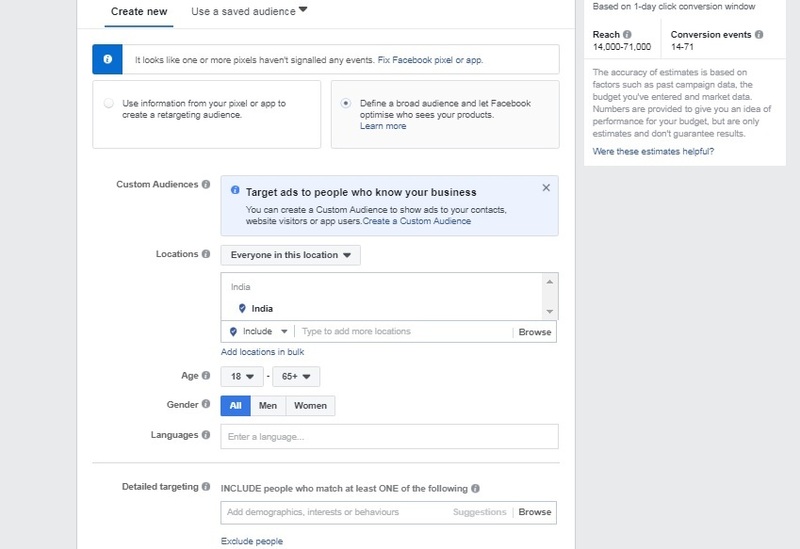 Facebook ads let you target your marketing campaign based on age, gender, location, and interests. You can reach as many as 1800 potential customers even with a humble budget of Rs. 40 per day. This comprehensive five-step guide will walk you through how to start from scratch on Facebook product promotion. To establish a sturdy foundation for your business on Facebook, you need to create a business page. This will be your platform to actively engage with your audience with content and updates, even when you’re not advertising. A Facebook page is also necessary to advertise on Instagram. After creating your page, establish a visual identity for your business by uploading a profile picture and a cover image. Take your time and choose wisely, as these images will be your visitors’ first impression of your business! The profile picture on your page should resonate with your brand and what you’re selling. 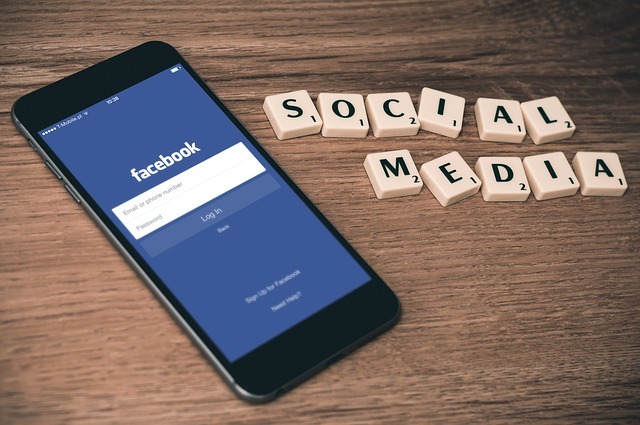 The safest option is your brand’s logo, as it will make your business more identifiable when your ads and posts appear in your customers’ feeds. Your cover image should be related to your products and/or your values. Zomato’s profile picture is their brand logo, while their cover picture demonstrates what their business is about. Once you’re done uploading images, it’s time to fill out your page’s About section: short description, email address, phone number, website URL, etc. This step is important as it will make your brand more trustworthy and inviting. 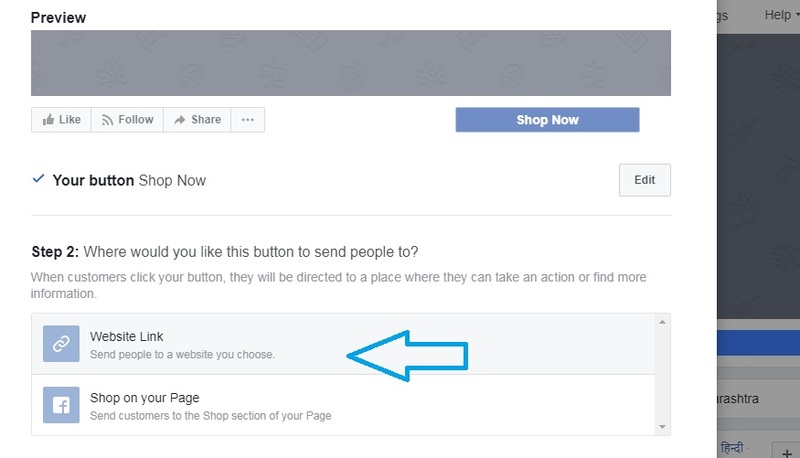 The “Add a Button” option on your Facebook page is where you’ll add a link that visitors can click on when they visit your page. As an eCommerce website owner, you should use the “Shop Now” button with a link to your store. Enter your website’s URL as shown above. Whenever users click on the “Shop Now” button, they will be directed to your eCommerce website. Once your page is set up, ask your friends and family to like, follow, and share it to help boost your traffic. 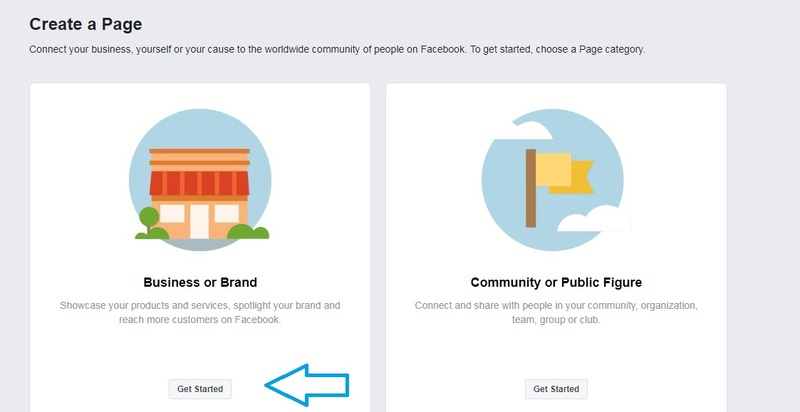 Then you can start promoting your products from your Facebook page with targeted ads. Facebook lets you run ads tailored to your marketing objectives. For eCommerce businesses selling physical products like apparels, accessories, and electronics, the best way to promote your products on Facebook is by running dynamic ads. These will automatically display your product catalogue to people who have expressed interest in similar products elsewhere online. Note that to run dynamic ads on Facebook, you need a catalogue of products you want to promote. Click on the “Ads Manager” menu and go to “Catalogues”. Choose “Create Catalogue”, then “E-commerce”. You can add products to your catalogue manually or automatically from your feed (if your eCommerce website is set up on ShopShastra). 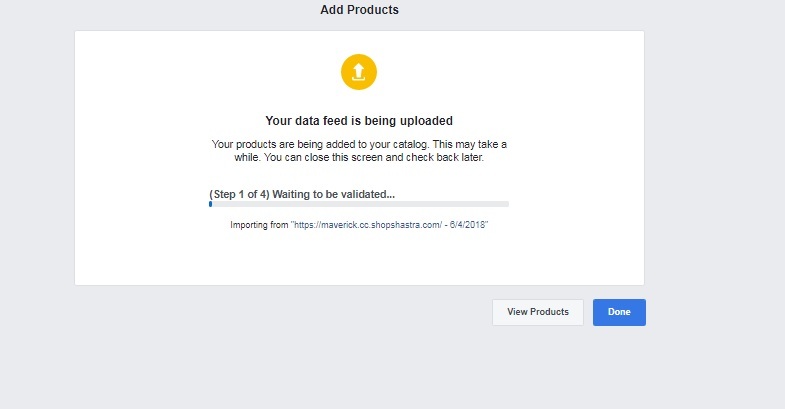 Once you click on “Use Data Feeds”, you’ll be asked to enter a link to your product catalogue/feed, which is generated in your store. The following setup is for stores that run on WordPress/WooCommerce. First, download the plugin Product Catalog Feed by PixelYourSite. Go to “Add New Feed” and enter the feed name and feed type. Scroll down and click “Generate the Feed”. This will generate a feed of the products you want to promote on Facebook. Click “View” to open the link in a new tab. Copy the URL and paste it into the “Add to Product Catalog” page. 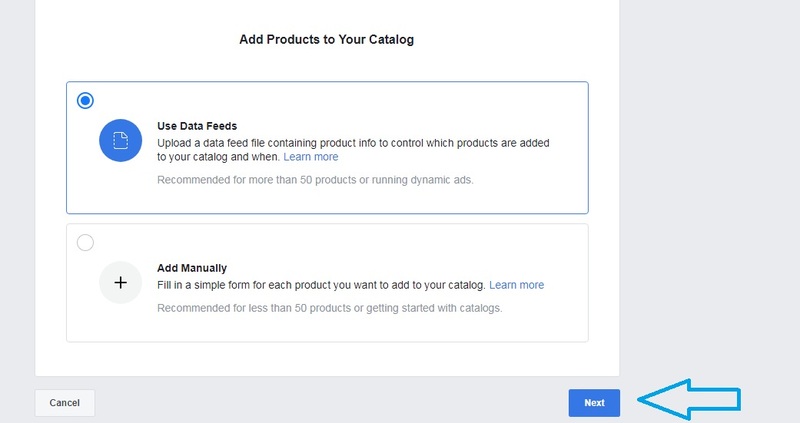 It may take a few minutes for your products to upload on Facebook, but once they do, your catalog will be ready to promote! You’ve created a Facebook page, set your marketing objectives, and created a product catalogue. The last step is to create an ad campaign to promote your products on Facebook. First, choose the product catalogue you just created. The unique selling point of Facebook ads is that you can specify who sees them. Provided you already have your target audience in mind, you can filter your ads based on location, age, gender, language, and interests. 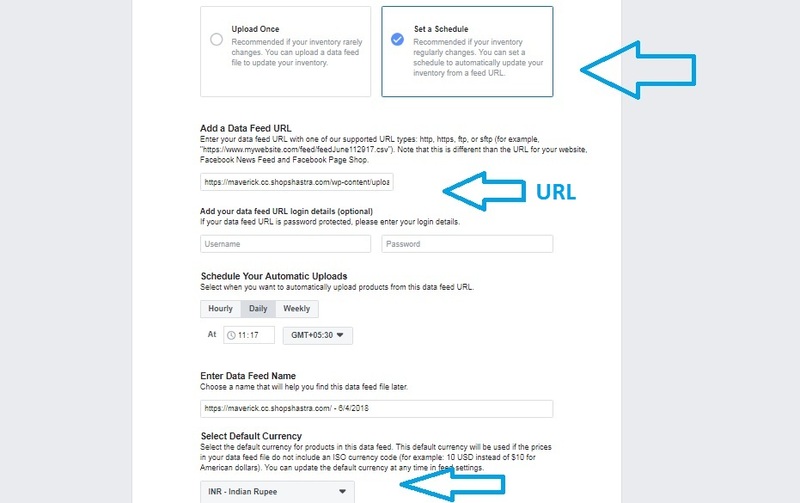 Budget, schedule, and reach are the most important settings in your Facebook ad campaign. The beginning will be a process of trial and error, but knowing your reach will help you define a budget and schedule to start with. 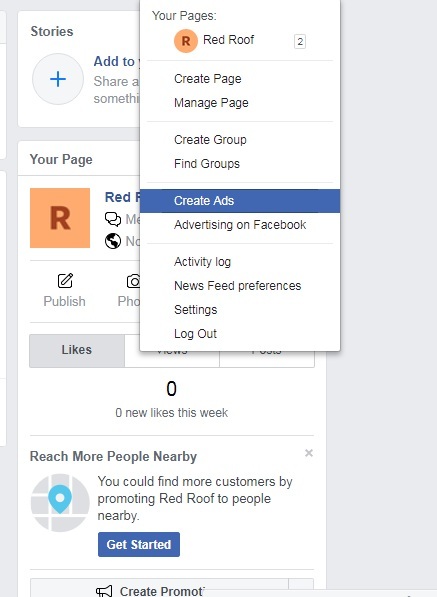 Based on the number of people you want to reach, set your budget and schedule your ads for a week, then start adjusting your campaign based on your first results. Formatting is another trial-and-error process; you won’t know what will work best for your business until you try it. For an eCommerce website, the best format will usually be a collection of products. Once you choose a format, you’ll need to add a headline, text, a link, and a call to action. Keep in mind that ad copy can make or break your campaign, since this is what will encourage your target audience to click on your ad. When writing your ad copy, think about what would make your customers want to buy your products. A sale, a first-order discount, or a set of new releases are all good ideas for effective copy that will convert into sales. Once your ad is set up, fill in your payment information. 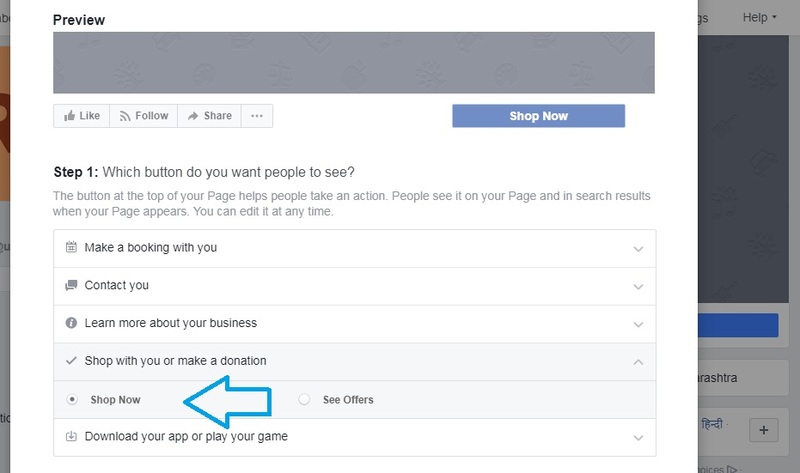 As soon as your payment is complete, your campaign will be reviewed and, if approved, go live on Facebook. The metrics of your campaign can then be viewed in the Analytics section. When you start using ads to promote your products on Facebook, don’t expect huge spikes in sales right away. Instead, think of your campaign as an experiment to figure out what works best for your business. If your products sell like hotcakes, increase your Facebook promotion budget. If your products don’t sell well or even at all, consider tweaking your copy and/or target audience. At the end of the day, Facebook ads are worth the investment. 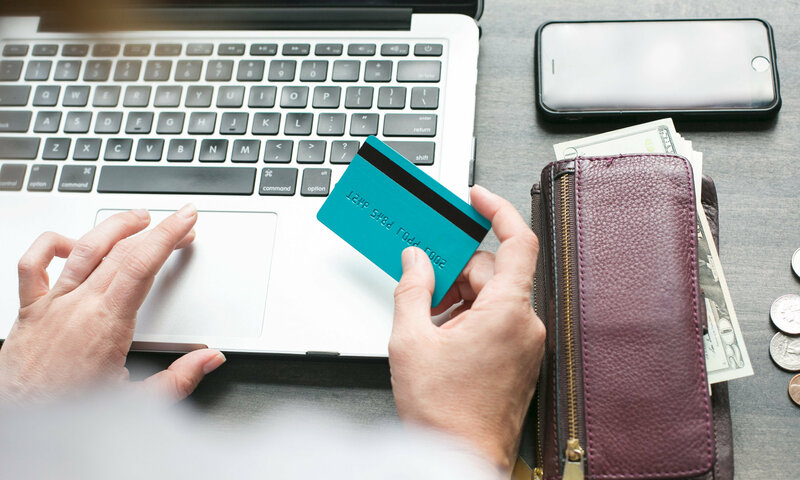 Even if they don’t generate many sales, you’ll still be reaching thousands of people and generating awareness about your brand, which will go a long way towards helping you grow your eCommerce business.